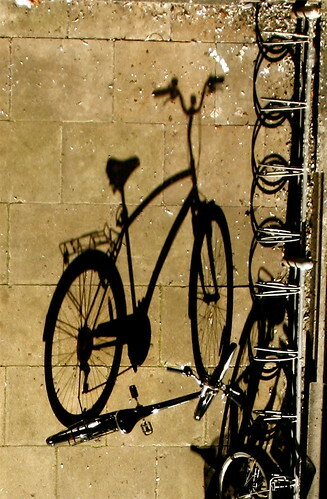 shadowbike, originally uploaded by Voetmann. In a recent poll of Copenhageners, a large majority stated Bike Parking as the main area of improvement for our bike culture in the city. It's true enough. It's always tough to find parking at the main train stations and squares. The city council is on it, or so they say. But first they have plastered the city with posters promoting their vision for branding Copenhagen as the world's greatest cycle city. The photo is from a mate on Flickr, Voetmann. A beautiful shot of a late afternoon bike rack.